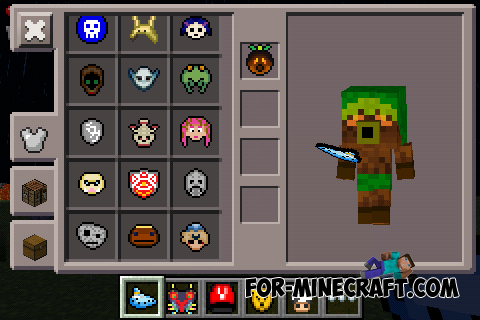 Majora's Mask - this addition for Minecraft PE 0.12.1/0.12.2, due to which your game will be a variety of masks, from the universe of Zelda games. 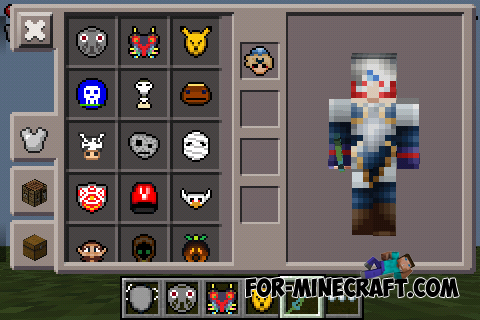 These masks will be able to diversify your is great look. Wearing a mask, you can enjoy the game with interest, it looks pretty funny. In total there are 25 masks. 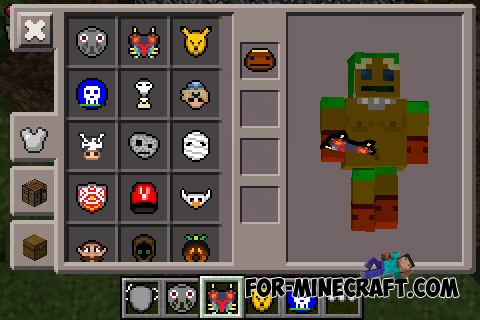 Each mask has its own character's appearance. 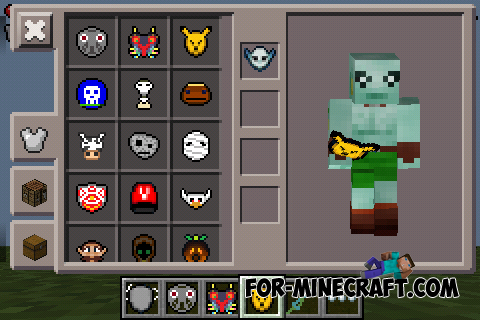 Masks mod for Minecraft PE 0.11.1 / 0.11.0The mod adds to the game nine different masks. You become not only more epic, but still get a certain effects.